Star Trek Online Executive Producer Dan Stahl answered player questions regarding the redesigned Qo’nos, a user-interface makeover, details on season four, and more as part of the July installment of Ask Cryptic. Below is a sampling of those answers. A: With launching Season 4, the entire team is focused on adding new content over the months ahead that will utilize all the new cool features and combat updates in this release. We are currently in development on the following content: Featured Episode Series 4 which will take place around Deep Space 9, Special Task Force updates to improve and balance these missions into something fun and/or challenging to play, Borg Invasion Events which will include a weekly ground assault on a to be announced species homeworld as well as hourly Borg Deep Space incursions into all sectors, new locale flavored neighborhood missions for social zones, OpenPVP Encounters, and four new Fleet Actions (1 exclusive ground and space FA for each faction). So yes. We absolutely plan to release some great new content to show off the new combat updates in Season 4. All of this content is currently scheduled to release at various stages in Season 4 between now and October. Q: DarthModest When will we be able to craft the new fighters and Horta variants? A: You can expect an update to the crafting store with these during Season 4. We are waiting on some time to free up from our systems team so we can get these in. The goal is that this will also include a few other additional craftable items as well. Q: Space_Gunman When we can expect new melee weapons like kligon D’Ktang or human weapons? Also, when can we get parts of new Federation Technology. A: With our massive overhaul of ranged ground combat and Kits in Season 4, one of the next areas to update is melee combat. We have some talented engineers looking into the issues with melee combat to help us adjust the visuals and feel of melee attacks. Our internal R&D team has made some amazing strides on our other internal projects and I’d really like to see this code make its way into our game before Season 5, along with new weapons of course! We do plan and are working on new 2410 elite technology weapons for both Fed and Klingons. Q: mx1004 Are there plans on raising the limit of UGC from the current limit of 8? If so, when and to what? A: We are still evaluating the shard performance impact of UGC (it adds a lot of additional files to the game constantly). Once we have a good grasp on how additional missions will impact the future of the game, we can talk about raising the limit in some way. I don’t expect this to be decided until at least October, but is a topic we are following internally. Q: Cpt. William2 Will we ever see the “Mission Replay” feature complete, with Patrol missions and older versions of the remastered missions? And when? What kind of updates can you give us about earning C-store stuff in game? A: Now that Season 4 is launching and the content team is busy making new missions, the software team is looking into some very specific issues related to making mission replay easier and more complete, updating and simplifying the mission journal, as well as adding more clarity to what missions are available to you in a more meaningful way. In addition, we are working on a feature that would potentially allow players to trade Emblems for C-points (which also involves making more things available for Emblems as well). This could potentially open up the ability for players to, in effect, trade to obtain the items they are after. I’ll give more details on this in upcoming engineering reports as the feature gains more traction internally. Q: P_Sutherland Do you plan on adding any more sector blocks in the future? A: Yes, but first we have the core R&D team investigating whether we can collapse all the sector maps into one giant uber galaxy map. If we do that, then it is a matter of adding of expanding and adding more locations to the one sector. This could be a Season 5 feature if the tech works out properly. Q: MaxSpock Will I ever be able to visit the bridge of my shuttle or Captain’s Yacht? A: Yes. We have added two new bridges (one Fed, one KDF) that are hooked up to shuttles. We will continue to add more bridges and interiors as we have time in our schedules. Q: Captain_Sonda With the upcoming new episodes that are suppose to take place around DS9, is it possible you can add the defiants pulse cannons from the DS9 series or make it as a tactical console reward for the new DS9 series? A: Great Idea! I think there is a high possibility that this is going to happen or at least something similar. Defiant with pulse cannons would be amazing. I’d also like to see a replica Defiant interior as well. Q: Starfish1 What is the long term plan for hair-tech? A: This has been off and on the Engineering Report for the last two seasons. We have been testing using different types of hair on some of the costumes we’ve released for the KDF. At some point, once we are happy with how it looks, we will begin the process of adding new hair options and hair styles using this new feature. I don’t have a definite date yet (it could happen at any time) so I’ve kept it off the engineering report for now. Q: ErisTheVorta Will FED Vice Admirals get their loved DS9 fleet action back when Season 4 goes live? A: Not when Season 4 goes live, but hopefully by the time our DS9-centric Feature Series goes live, we can get this back onto the Fleet Action Queue. It had some issues and needs some cleanup first. Q: Pystce Will we ever be able to skip cutscenes? A: We appreciate that some players who have multiple character may want to skip some of the longer cutscenes in the game. We will take this into account as we make new Feature Episodes and hopefully get time to go back and add skips to older content as well. Q: kekvin85 Will Perpetual ship designs get added into the game? A: It is possible. For now I can say that we’ve been drawing some inspiration from the old Perpetual concept art folder as we move forward with new ship designs. There are several new ship variants coming that have some similarities to Perptual designs. It is also interesting to note that several former Perpetual employees work at Cryptic. 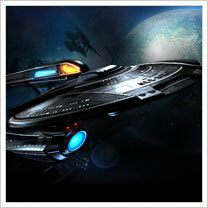 Read the rest of Ask Cryptic on the Star Trek Online website.